Pancreatic cancer is a deadly disease and can devastate the lives of many families. In the United States, pancreatic cancer is currently the fourth leading cause of death from cancer, often because it is difficult to diagnose and not found until its late stages. When found in its advanced stages, after the cancer has spread from the pancreas to other parts of body, it can no longer be surgically removed. The best chances of treating pancreatic cancer lie in early detection and awareness of one’s risk. One known risk factor? Having a family history of pancreatic cancer. What role does family history and genetics play with pancreatic cancer? Approximately 10% of pancreatic cancer cases are thought to be due to an inherited cause where patients have a history of pancreatic cancer in their families. At this time, the genes responsible for the majority of inherited pancreatic cancer cases have not been identified. Of those patients with a family history of pancreatic cancer, a small percentage may have a history consistent with a known inherited cancer syndrome, or a cancer that is caused by a known gene mutation. There are several inherited cancer syndromes with known gene mutations and include Breast and Ovarian Cancer Syndrome (associated with BRCA gene mutations), Familial Atypical Multiple Mole Melanoma Syndrome (FAMMM) Peutz Jegher’s syndrome, Hereditary Pancreatitis, and Lynch Syndrome (aka Hereditary Non-polyposis Colorectal Cancer, HNPCC). If a person’s family history is consistent with a known inherited cancer syndrome, they may benefit from genetic evaluation, testing and counseling. These benefits of genetic testing may extend to at-risk family members who also may be at risk for developing cancer. However, the majority of patients with multiple relatives diagnosed with pancreatic cancer have no known inherited syndrome and may benefit from other means of cancer prevention. What can I do if I believe myself to be at risk? Referral for a genetic evaluation can help assess your risk for developing pancreatic cancer if there is a family history of pancreatic cancer or an inherited cancer syndrome associated with pancreatic cancer. If appropriate, genetic testing and counseling may be recommended. If a gene abnormality associated with cancer is discovered, it is important to discuss with your doctor cancer prevention strategies and the impact of genetic testing for your other family members who potentially could be at risk. Research studies are being performed to determine the best methods to screen for pancreatic cancer in patients at high risk due to their family history. These include MRI or endoscopic ultrasound to check for precursor lesions in the pancreas. Be sure to work with your doctor to find the right program for you. How can I find out more about the role of genetics in pancreatic cancer? Learn more about the role that family history and genetics play in pancreatic cancer by submitting your questions to our Question and Answer Forum before September 18th. Dr. Fay Kastrinos, a gastroenterologist with special expertise in treating patients with inherited cancer syndromes and director of Muzzi Mirza Pancreatic Cancer Prevention and Genetics Program, will provide a written response to your questions in a blog article following the close of the forum. How do I participate in this program? What will be discussed? 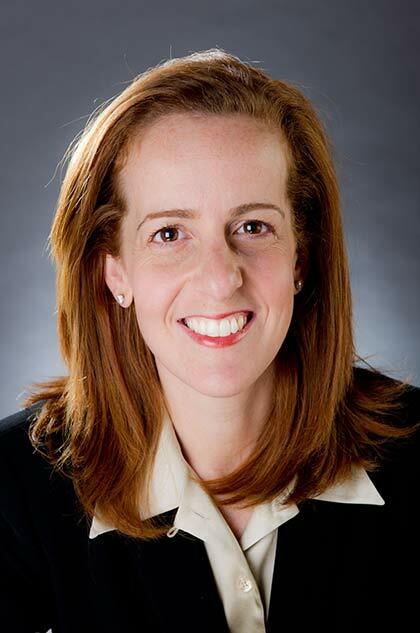 Please visit our Muzzi Mirza Pancreatic Cancer Prevention and Genetics Program homepage for more information or our previous blog article, Faculty Spotlight: Fay Kastrinos, MD – Gastroenterologist. Please also inquire into our Pancreatic Cancer Support Group, which meets on the third Tuesday of each month.